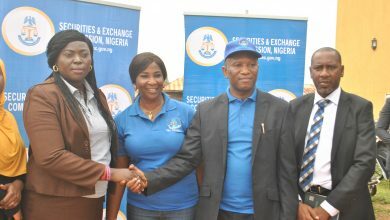 L-R: Acting Director General Securities and Exchange Commission, Dr. Abdul Zubair, Coordinating Director Corporate Services SEC, Isiaku Bala Tilde and Coordinating Director Legal and Enforcement SEC, Mr. Reginald Karawusa at a briefing to update the Market on the Forensic Audit of Oando Plc in Abuja, today. 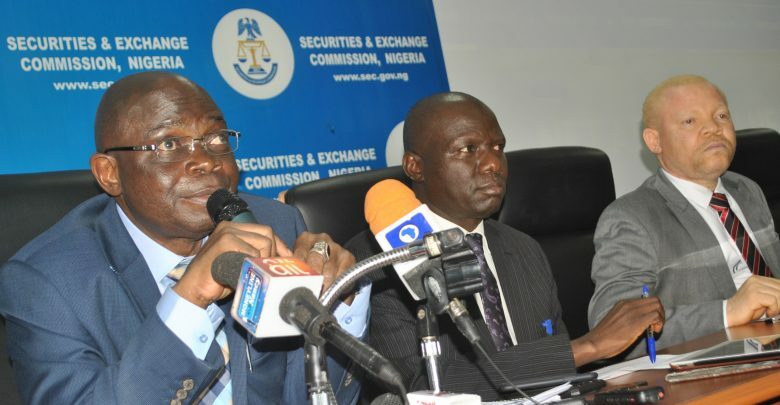 BY NKECHI NAECHE —–The Securities and Exchange Commission (SEC) on Tuesday said that following the removal of the legal impediments, the audit of Oando Plc., will proceed in a transparent and thorough manner, according to a statement from the Commission. Acting Director General Securities and Exchange Commission, Dr. Abdul Zubair, disclosed this during a media briefing to update the Market on the Forensic Audit of Oando Plc in Abuja. He said :” SEC in 2017 conducted a preliminary investigation of Oando Plc, based on petitions received from shareholders of Oando Plc., and a whistleblower. 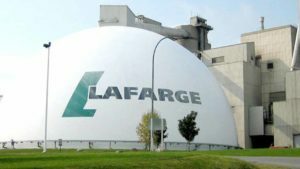 “Based on some of the findings from the preliminary investigation, the Commission took steps to preserve shareholder value and protect the investing public. Consequently the SEC placed the shares of Oando Plc on technical suspension and ordered a forensic audit of the affairs of Oando Plc. “Subsequently, two lawsuits were respectively filed by Oando Plc., and some shareholders of Oando Plc, mainly to restrain the Securities and Exchange Commission (SEC) and the Nigerian Stock Exchange (NSE) from effecting a technical suspension on the shares of Oando Plc and the SEC from appointing a team of forensic auditors to conduct a forensic audit of the company. “Oando Plc. has withdrawn the pending lawsuit against the Commission by an application heard and granted by the Court of Appeal on March 05, 2018. Also the application for withdrawal by the shareholders was heard and granted by the Federal High Court on February 21, 2018. “Following the dismissal and the striking out of the suits, the SEC has duly informed the firm of Deloitte to proceed with the forensic audit. The Commission is committed to its primary mandate of protecting investors and will take all necessary steps to fulfil that mandate and uphold the integrity of the capital market. We therefore wish to reassure the general public that following the removal of the legal impediments, the audit of Oando Plc., will proceed in a transparent and thorough manner.